A little December breathing time off the road has been nice these last couple of weeks. It’s been good (if not sobering) to have the chance to think back on what’s happened as 2016 draws to a close, and also to look forward to what’s next. For me, music is a celebration of what’s beautiful in life - the act of playing and how it connects people is like nothing else I can think of. It’s been a huge blessing for me and I’m grateful every day I get to do it. The Folk Alliance Conference in Kansas City is pure music and mayhem squeezed into four crazy days in February. We Mountain Drifters are stoked to have been selected as official showcase artists there for 2017! 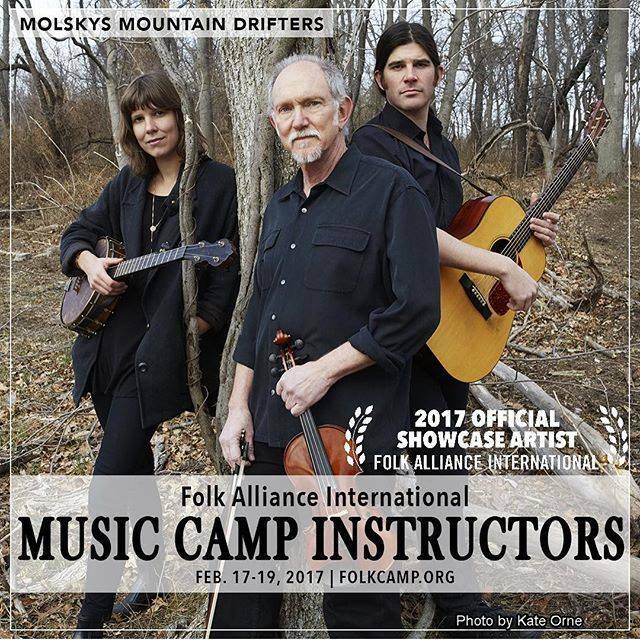 Allison, Stash and I also will be teaching at Folk Alliance’s music camp, which runs at the same time as the conference. Fun now, sleep later. If you play an instrument, consider signing up, or just come for the conference and the craic. Folk Alliance is a great organization full of great people! 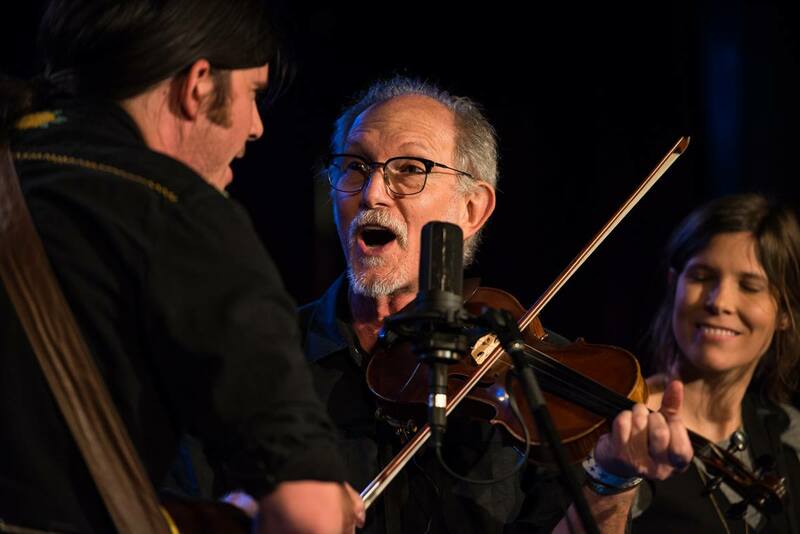 Speaking of teaching, Debra Clifford and I will once again be hosting the 2nd Annual Old-Time Rollick at the beautiful Ashokan Center in the Catskills, another intense weekend of old time music immersion and we are so happy to add the full MMD crew to the staff; Allison and I return and we are bringing Stash with us! It's selling quickly so please get in touch if you're thinking of joining us. More perorming and teaching listings below or at the webpage, mountaindrifters.com, so check in there from time to time. You can get our CD there too. My other CD's and teaching projects and solo touring schedule is at brucemolsky.com. I continue to teach at pegheadnation.com, a tune a month in great detail split over three or four lessons. If you’d like to try that out, use the promo code ‘Thanks16’ for a free month! I'm excited to be doing a special banjo project for them coming up so look out for that. On the business side of things. . . around 2000, my old friend and later Mozaik band mate Andy Irvine introduced me to his agent Frank Bechhofer. Frank took me on as well, and we’ve worked together for all these years. He is one of those really special people who does things for all the right reasons, his sheer love of music and the UK music scene. Over the years, he’s become a very dear friend, but recently made the decision to reduce his agency workload. There’s no escaping it’s been a tumultuous year, here at home and in so many places around the globe.Thank you all for being in my world - Audrey and I wish you a great holiday season and a peaceful and happy new year. Take care, drive safely and stay in touch! 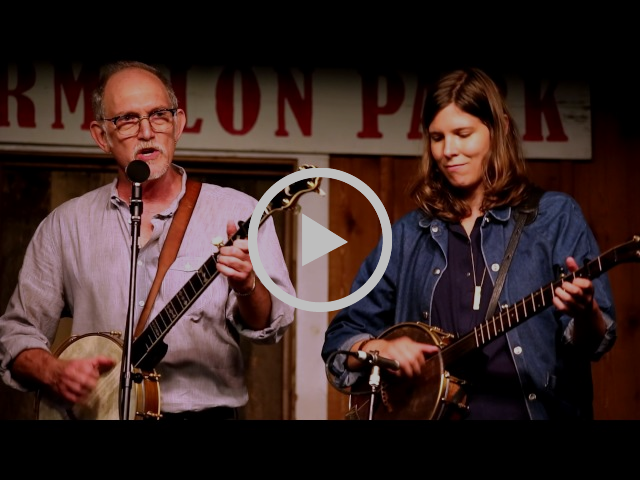 Peghead Nation has just released the first of 6 more months of new tunes for my on-line video fiddle course. You can take a test drive of the course here: pegheadnation testdrive . Click the red YouTube button below and subscribe to the BruceMolskyMusic channel!